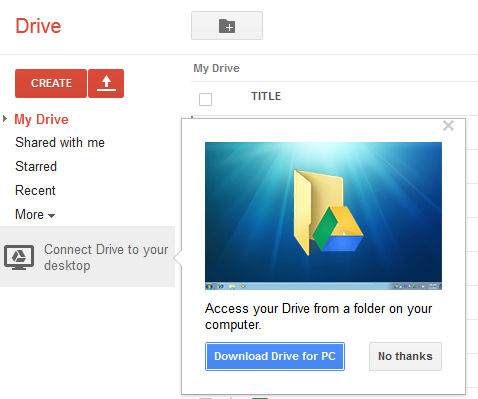 Google Drive has a new promotional message that suggests users to install the desktop Drive app and "access your Drive from a folder on your computer." 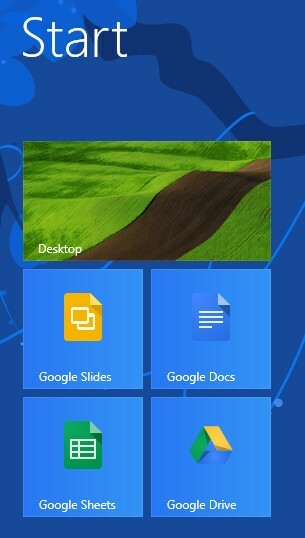 After installing the app in Windows, you'll get 4 desktop shortcuts for Google Drive and 3 of its web apps (Google Docs, Google Sheets, Google Slides). Google's mostly silent installer doesn't ask if you want these shortcuts. I think it's impolite to clutter people's desktops with 4 shortcuts without even asking if it's OK. The shortcuts for Docs/Sheets/Slides let you create new documents/spreadsheets/presentations from your browser. Chrome users can already install apps and add shortcuts to the new tab page or the app launcher. Sure, you can easily delete the shortcuts, but you shouldn't have to do that. Need to find a spelling on a word fast? Try Google. When ever I need to check the spelling on a word I open my browser and go to Google and type in the word I am looking for.